You will come across a lot of Venn diagrams while studying mathematics, but perhaps this is the most important one. It is a guide for life. 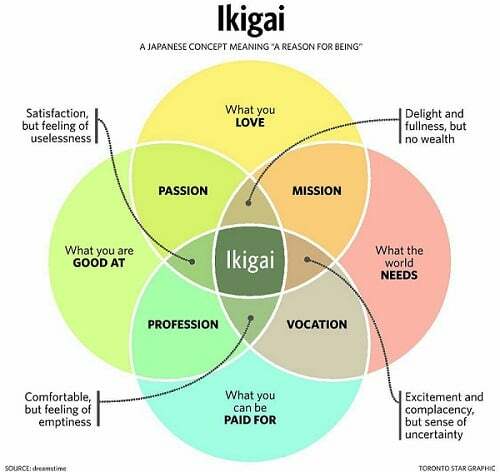 Ikigai, which is the bit in the centre, is your “reason for being”. It describes the thing that you love, which the world needs, which you are good at and which you can be paid for. Find that thing and you will be happy for your whole life.